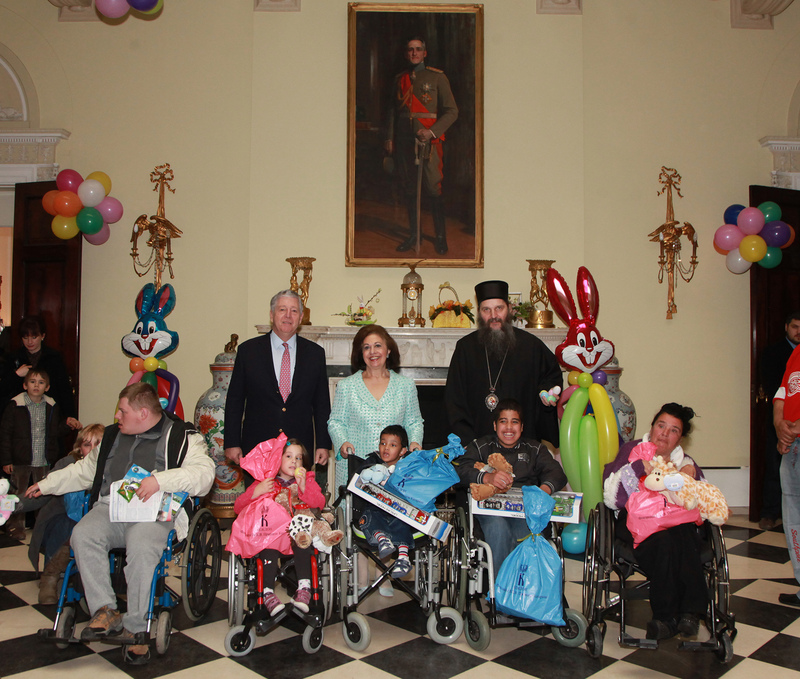 Their Royal Highness Crown Prince Alexander II and Crown Princess Katherine hosted today Traditional Easter receptions for over 1000 children without parental care, Roma children and children with disabilities. 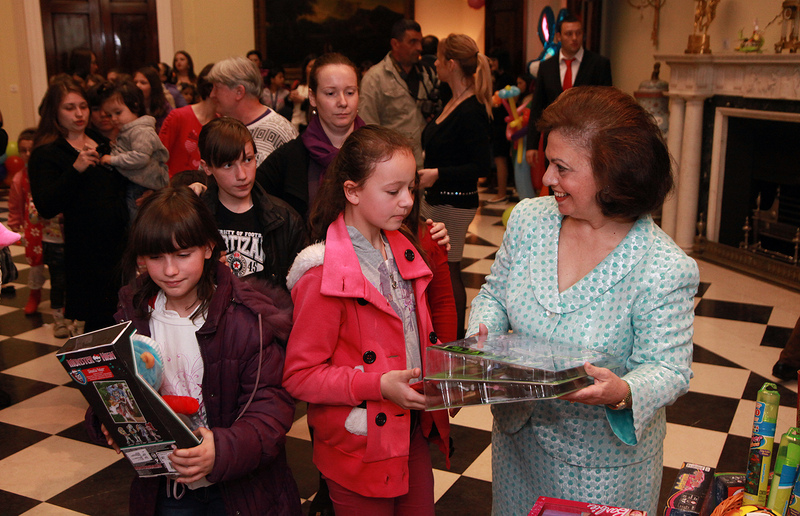 His Grace Vicar Bishop of Remeziana Andrej also attended the reception and greeted the children introducing them to the meaning and importance of Easter, as well as HE Mrs Julia Alice Patricia Feeney, Ambassador of Australia. 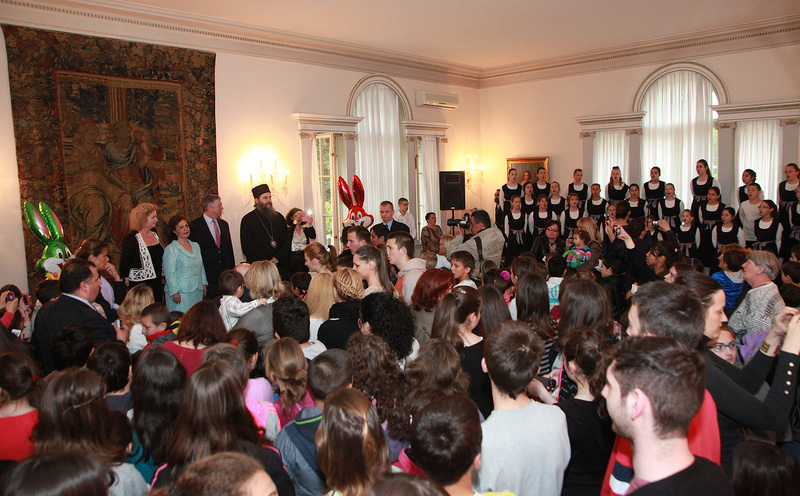 The St. John the Theologist children’s church choir from Sabac sang the Serbian National Anthem “Boze pravde” and traditional Easter songs. Following the reception children enjoyed an Easter egg hunt in The White Palace Park. 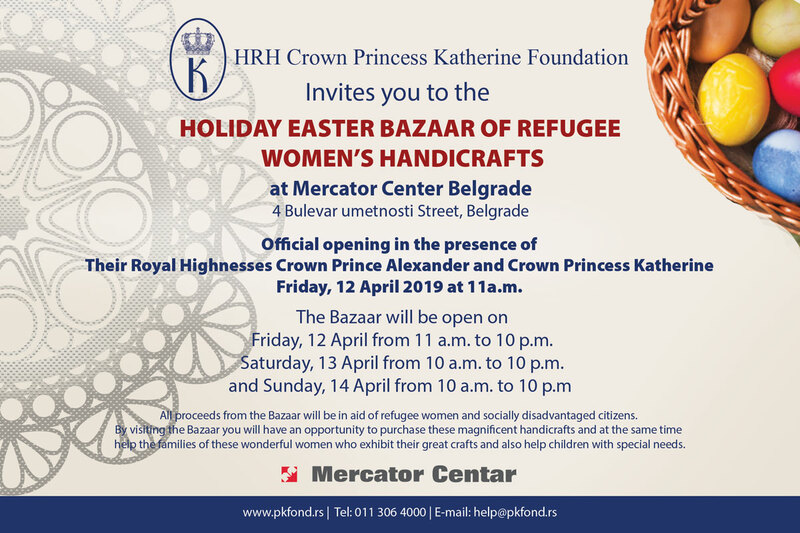 The Humanitarian Foundation of HRH Crown Princess Katherine organized the traditional Easter receptions thanks to the support of socially responsible companies and individuals: Mattel USA, Orbico Serbia, Coca Cola Hellenic Bottling Company, Delegation of EU Commission in Serbia, Delta Generali, EKO Serbia AD, Grand Casino Belgrade, Zitopromet AD, KIKA; Mega Plast, Paracinka Paracin, SZR Tasi Tasi Belgrade, Stig d.o.o., As Kiss Jeans, Balon Centar, DINS, K&S, Fido kids, Astra socks, Ninia, Capitto Jeans, Cotex, Dastico d.o.o, Garman d.o.o, SZTR Kolibri Kragujevac, Mikro modeli d.o.o, Panon doo, Vrcin, Primanella doo Obrenovac, SZR Vrabac Požarevac, Banini Kikinda, Ishrana produkt Paraćin, Sweet Choice doo, Zemun, St. George, Embassy of Australia, Embassy of Kuwait, Embassy of Azerbaijan, Embassy of Angola, Embassy of Finland, Embassy of Indonesia, Consulate of Sri Lanka, children from British International school Belgrade, International School of Belgrade, German School in Belgrade, Russian school in Belgrade, Rdujer Boskovic School, Lifeline Chicago Humanitarian Organization. EKO Serbia AD – Hellenic Petroleum group is strategic partner of HRH Crown Princess Katherine Foundation.